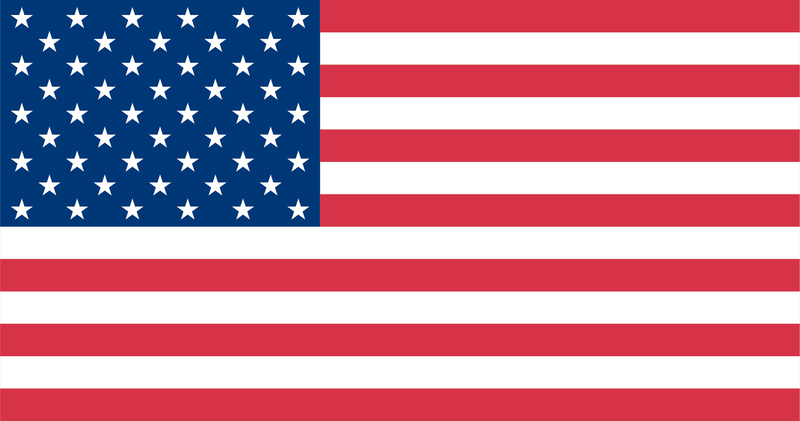 Do you know about 17 United Nations Sustainable Development Goals? Marzhan Balabek ’17 (Taraz, Kazakhstan/ Northport, AL), the FLEX Alumni City Representative of Almaty, recognized that for people in her community to be able to contribute to the Sustainable Development Goals, they first had to know about them. 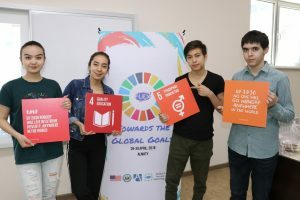 With the idea of spreading awareness surrounding the UN Sustainable Development Goals, Marzhan created her Global Youth Service Day Project, “Towards the Global Goals”. 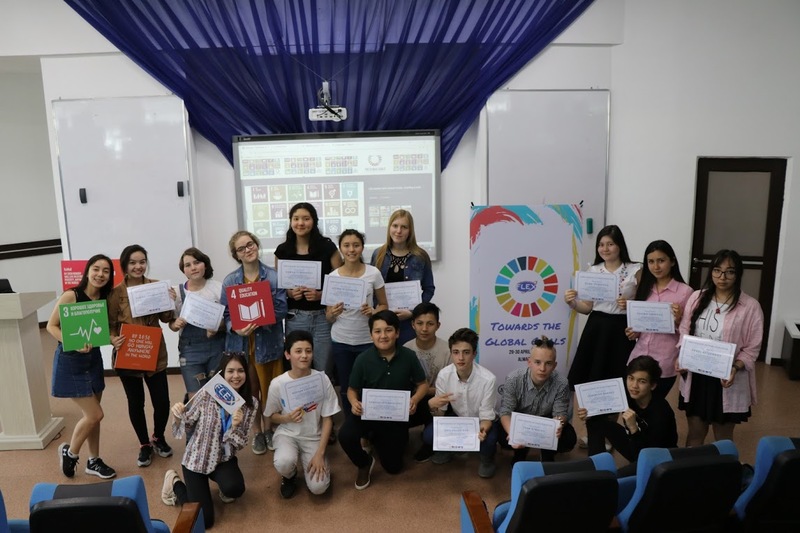 “Towards the Global Goals” was a two-day workshop for high school students that took place on April 29 and 30. 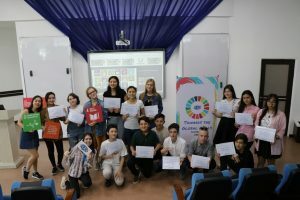 The goal of the workshop was to help the participating students understand the concept of each of the 17 Sustainable Development Goals based on real facts and learn initiatives being implemented for their achievement. 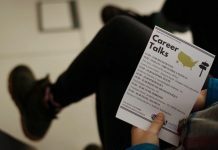 Participants applied to participate in the event by submitting an essay to project coordinators. 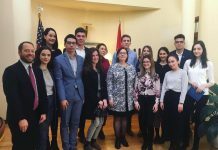 On the first day, Alumni Coordinator Bibinur Zhamaliddenova ’15 (Aktau, Kazakhstan/ Madison, OH) presented the goals to 15 participants. 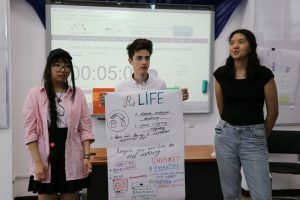 Afterwards, guest speaker Dr. Aliya Tankibayeva from KIMEP University gave a lecture, which was followed by interactive sessions including a debate. 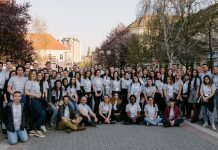 On the second day, participants were divided into three groups to work on projects related to some of the goals with the help of a mentor: Yekaterina Kolesina ’15 (Uralsk, Kazakhstan/ New Hampton, IA), Saniya Yerzhigitova ’16 (Taraz, Kazakhstan/ Highlands Ranch, CO) or Marzhan Balabek ’17 (Taraz, Kazakhstan/ Northport, AL). Each group presented their projects, and the best of the three was chosen to be implemented as a follow-on project. 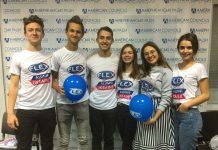 Bibinur Zhamaliddenova ’15 and Marzhan Balabek ’17 made the final decision on the best project. The chosen project, entitled ReLIFE, involves giving a new life to old clothes by creating toys or pillows out of donated clothing.